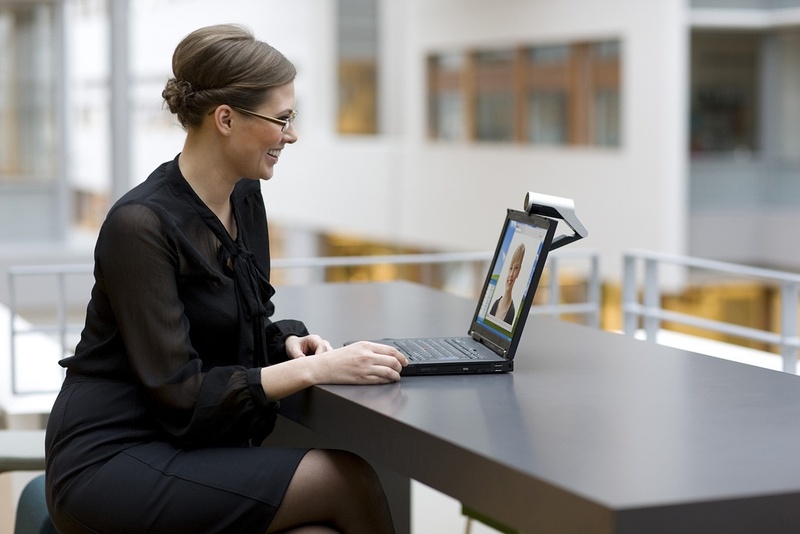 Video collaboration is changing business practices in a wide range of industries. Check out our white paper—Exploring the Future of Video Collaboration: Simple Workflow, Better Experiences—to see if yours is on the list? - Sales. Video collaboration can drive sales and allow enterprises to expand their territories without additional human resources expense. Since the industry is mobile by nature, uniting these professionals through virtual meetings allows them to cooperate on sales plans and facilitates some healthy competition. - Real estate. In-person meetings with clients are an enormous boon for this industry. Individuals can take virtual home tours of available properties, and realtors can save time by hosting tele-walkthroughs with however many people feel like participating. - Marketing. Video collaboration helps marketers develop a target audience and provides better customer interactions. Virtual meetings also allow professionals to interact with several people at once, and this helps with campaigns that involve many stakeholders. - Law firms. The legal field saves millions of dollars and man-hours using video technology. For example, courts can virtually process arraignments, and firms can host video consultations, train personnel, or bring everyone up to speed on new state or federal requirements. This is especially useful for clients who are incapacitated or hospitalized; they can seek legal counsel without visiting an attorney in person. - Research and development. Whether companies are working with experts in other fields to produce new products or need to bring their teams up to speed on research progress, video collaboration streamlines the process. These specialists now meet without travel or accommodation expenses. - Insurance. Rejecting or adjusting a claim can be an unpleasant business. A virtual face-to-face meeting with policyholders makes it easier. Agents can also co-author documents and approve claims whether they are in the office or overseas. - Project management. Project managers often need to oversee projects on a global scale, which was once incredibly expensive. They are cutting into these costs by meeting virtually. This also helps them screen and recruit new talent or access rare or remote resources needed to finish their projects. - Health care. Though Health Insurance Portability and Accountability Act (HIPAA) guidelines dictate collaboration policies in this industry, many facilities and providers are finding ways to make video work. For example, doctors can monitor and follow up with discharged patients in their homes. They can also quickly confirm a diagnosis with other professionals in their networks. Video solutions can streamline your business practices. For more information on how you can incorporate an innovative platform throughout your enterprise (and more details on these real-world examples), check out our white paper—Workflow Design. Making Video Collaboration Easy—for more information.